Rescue workers in Syria's northwestern Idlib province said Thursday they were forced to halt operations in a rebel-held town after air strikes damaged their centre there. The White Helmets rescue force said a salvo of rockets and shells hit their headquarters in Al-Tamana in a southern part of Idlib province on Thursday morning, followed by air strikes. Mossab al-Qadur, the head of the centre, told AFP he was inside the building when it was struck by dozens of shells and rockets. "When the shells stopped, we quickly got out. About 15 minutes later, a Sukhoi 24 (Russian jet) targeted the centre, which put it out of service," said Qadur. "We had gotten the equipment out before the airplane targeted it, and we're all okay," he said. The White Helmets announced on its Facebook page on Thursday that "air strikes caused huge damage in the building of the centre without causing casualties among the volunteers". It published images of clouds of dust still hanging over the collapsed outer wall of a building. The damage was also confirmed by the Syrian Observatory for Human Rights, which said Russian warplanes damaged the centre. The last time the Britain-based monitor recorded a rescue centre being put out of service in Idlib province by hostilities was just three weeks ago. 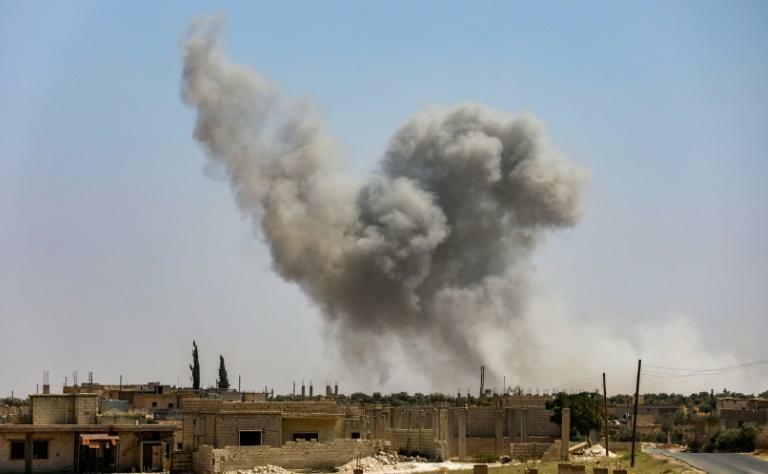 Regime shelling and Russian air strikes have targeted areas on Idlib's periphery in recent days, ahead of an expected assault on the province. It is the only major rebel-controlled zone left in the country, two-thirds of which is now back under government control. The area is home to around three million people, many of them reliant on humanitarian aid to survive. 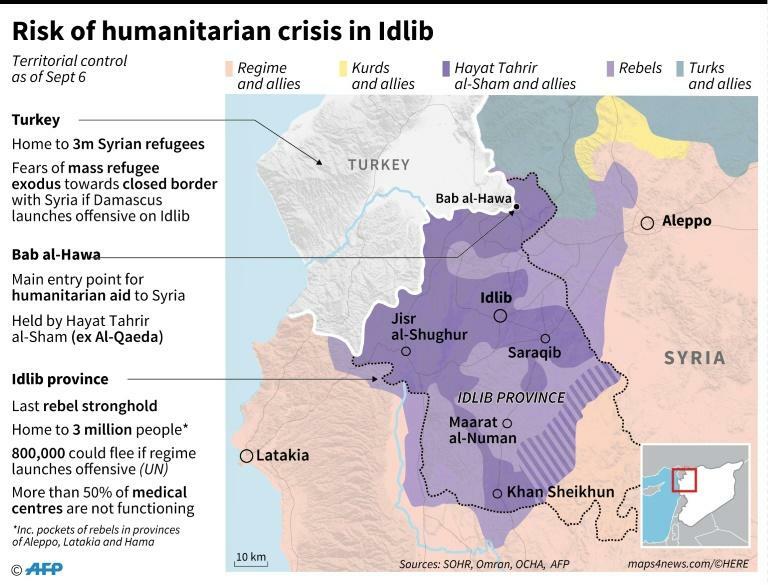 Humanitarian groups and the United Nations have warned that any offensive on Idlib would risk a "humanitarian catastrophe".